…is one of the most important things you can do to stay enthused and love what you’re eating. Don’t get me wrong, I love to eat the same thing most days of the week- but we do know that when we eat the same thing all the time, our brains release less dopamine, which can mean less satisfaction. 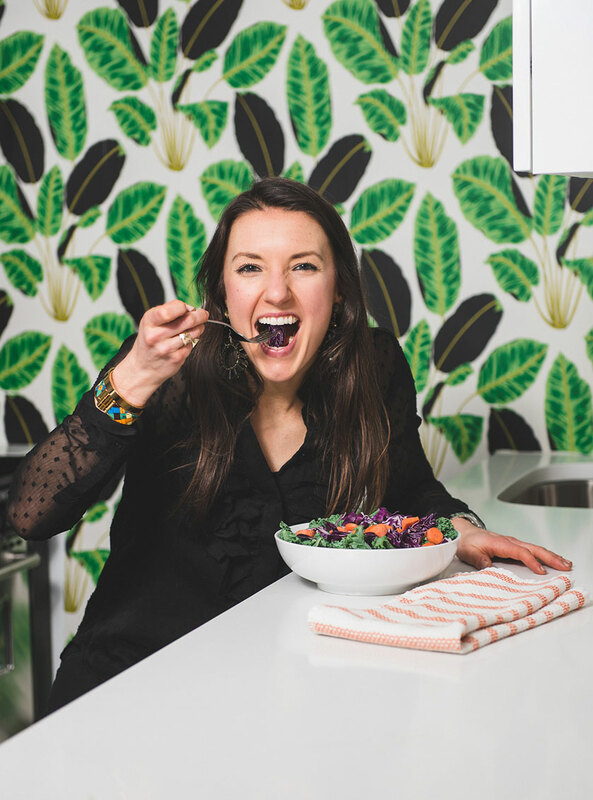 So to help myself and my clients feel like they’re shaking up their routine in an easy-to-do manner, I love to find new ways to make similar recipes and routines feel just a little different. 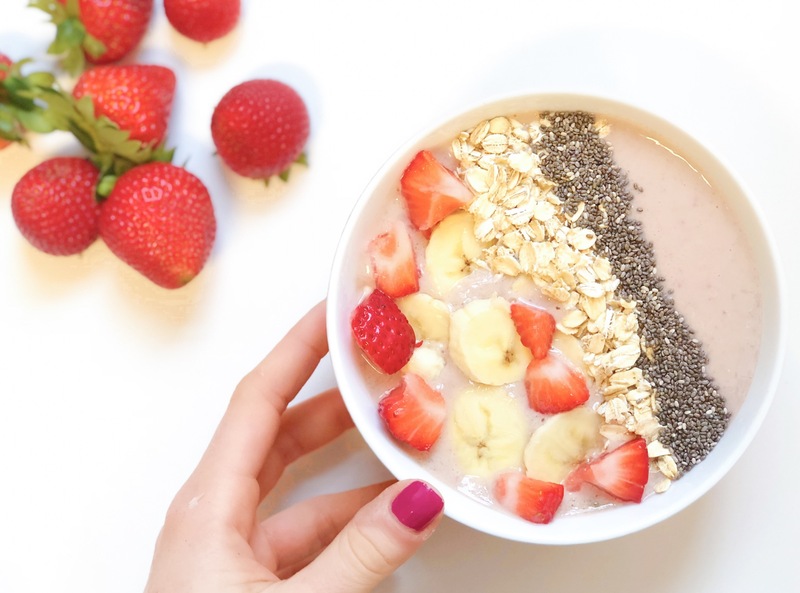 This strawberry banana smoothie bowl is really just a slight variation in a recipe that we make here in my house almost every day, except there’s a few easy differences. Firstly, it’s served in a bowl, second it’s got some fun toppings on top! The toppings can make it more fun to eat, and also to look at. Enjoy this smoothie bowl and remember to shake things up a little bit- it can really help to improve satisfaction! 1 scoop vanilla vegan protein powder- like this one! Wash and prepare the ingredients for the smoothie. Blend the smoothie ingredients together in a blender for 45-60 seconds or until smooth then pour into the bowl. Add the toppings to the smoothie, then serve and enjoy!